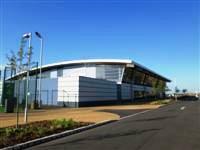 Services / facilities within the building include an eight lane 25m competition standard swimming pool, 18 metre learner pool and a 120 station fitness suite with integrated TVs. 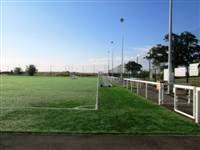 Services / facilities within the grounds include fully floodlit competition size outdoor 3G football pitch and 3 outdoor 3G five-a-side pitches. 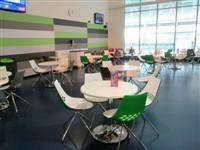 There are also 3 air-conditioned studios for classes such as spinning and yoga, spa facilities, including a sauna and steam rooms, and a café offering Costa Coffee and snacks. The pool closes a half hour be for the building closes. 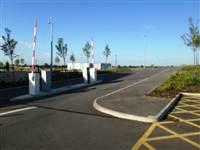 There are 8 designated parking bay(s) within the car park. 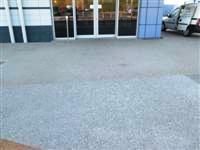 The dimensions of the designated parking bay(s) are 360cm x 510cm (11ft 10in x 16ft 9in). The nearest designated bay is 20m (22yd) from the main entrance. 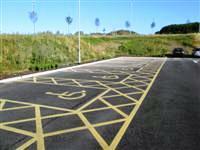 The furthest designated bay is 35m (38yd) from the main entrance. 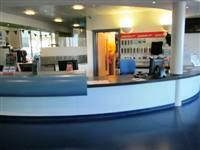 The reception desk is 6m (19ft 8in) from the main entrance. 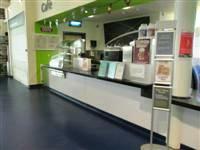 You are on Inside Access (Leisure Centre). Skip to the next section. 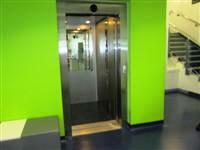 The lift is 12m (13yd) from main entrance. 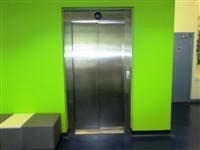 The dimensions of the lift are 110cm x 140cm (3ft 7in x 4ft 7in). You are on Restaurant Bar Internal (Costa Coffee). Skip to the next section. The type of food served here is snacks and sandwiches. You are on Swimming Pool. Skip to the next section. There are steps into the swimming pool. 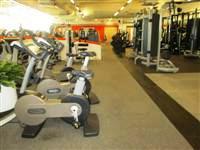 The fitness suite is located on the first floor. 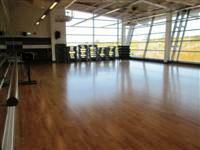 The fitness suite is 5m (5yd 18in) from the lift. The opening is 140cm (4ft) wide. Staff receive no training in assisting disabled people. A portable hearing loop is not available for induction. 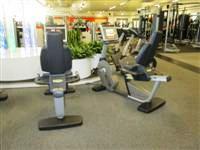 Equipment suitable for mobility or sensory impaired users includes Upper Body Ergometer, Upper Body Multi-station and Small Equipment Package. The accessible changing rooms are located to the rear of the foyer. The accessible changing room is 15m (16yd) from the main entrance. The accessible changing room is 8m (26ft 3in) from the swimming pool. The dimensions of the accessible changing room are 220cm x 280cm (7ft 3in x 9ft 2in). 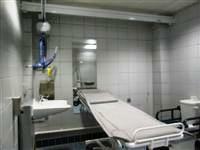 The facilities available in the accessible changing room are a wheel in shower and handrails. Other facilities available are an accessible toilet and bench. There is level access to the changing room. 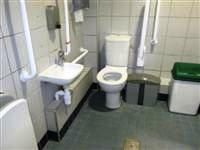 The dimensions of the accessible toilet are 160cm x 230cm (5ft 3in x 7ft 7in). The lateral transfer space is 130cm (4ft 3in). The toilet roll holder is 130cm (4ft 3in) high. The accessible toilet is located to the rear of the foyer. The toilet roll holder is 125cm (4ft 1in) high. The accessible toilet is located within the male standard toilet. 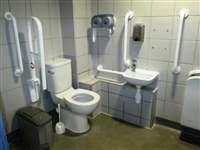 The dimensions of the accessible toilet are 160cm x 200cm (5ft 3in x 6ft 7in). The toilet roll holder is 110cm (3ft 7in) high. The accessible toilet is 5m (16ft 5in) from the lift. 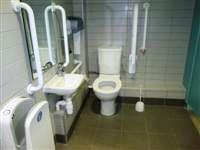 The dimensions of the accessible toilet are 160cm x 250cm (5ft 3in x 8ft 2in). The lateral transfer space is 95cm (3ft 1in). You are on Accessible Toilet (Outdoor Football Pitches ). Skip to the next section. The accessible toilet is located to the left as you enter. 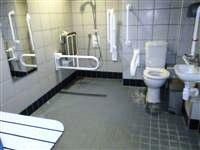 The dimensions of the accessible toilet are 230cm x 190cm (7ft 7in x 6ft 3in). The female and male toilets are located to the rear of the foyer. 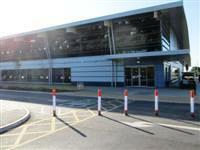 The female and male toilets are 17m (19yd) from the main entrance. 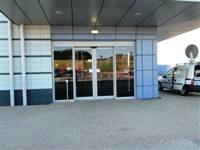 The facility is located to the rear of the foyer. The facility is 20m (22yd) from the main entrance. The key can be obtained from a member of staff. The dimensions of the facility are 400cm x 310cm (13ft 1in x 10ft 2in). The transfer space on the left as you face the toilet is 83cm (2ft 9in). The transfer space on the right as you face the toilet is 95cm (3ft 1in). Wall mounted rails are not available. As you face the toilet the drop down rails are on both sides. The type of sink is adjustable. Wall mounted hand rails are not available at the sink. The facility has a non slip floor. You are on Standard Changing Room (Male Members Changing Room). Skip to the next section. There are standard changing rooms available. The standard changing room is 35m (38yd) from the main entrance. The standard changing room is 30m (33yd) from the reception desk. 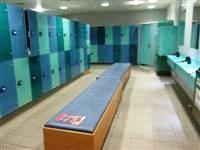 The standard changing room is 8m (26ft 3in) from the swimming pool. The standard changing rooms are located to the left as you enter. 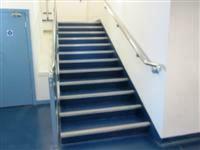 There is level access to the standard changing rooms. 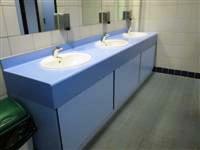 There is an identical female members changing room available with baby changing facilities. You are on Standard Changing Room (Unisex Changing Room). Skip to the next section. The standard changing room is 19m (21yd) from the main entrance. The standard changing room is 13m (14yd) from the reception desk. 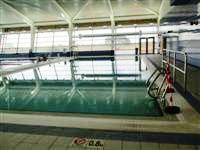 The standard changing room is 7m (22ft 12in) from the swimming pool. The standard changing rooms are located to the rear of the foyer. You are on Standard Changing Room (Outdoor Football Pitches). Skip to the next section. The standard changing room is 15m (16yd) from the main entrance. The standard changing room is 9m (29ft 6in) from the reception desk. The standard changing room is 19m (21yd) from the football pitches. 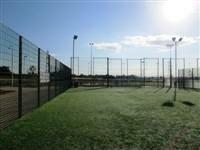 You are on Inside Access (Outdoor Football Pitches). Skip to the next section.